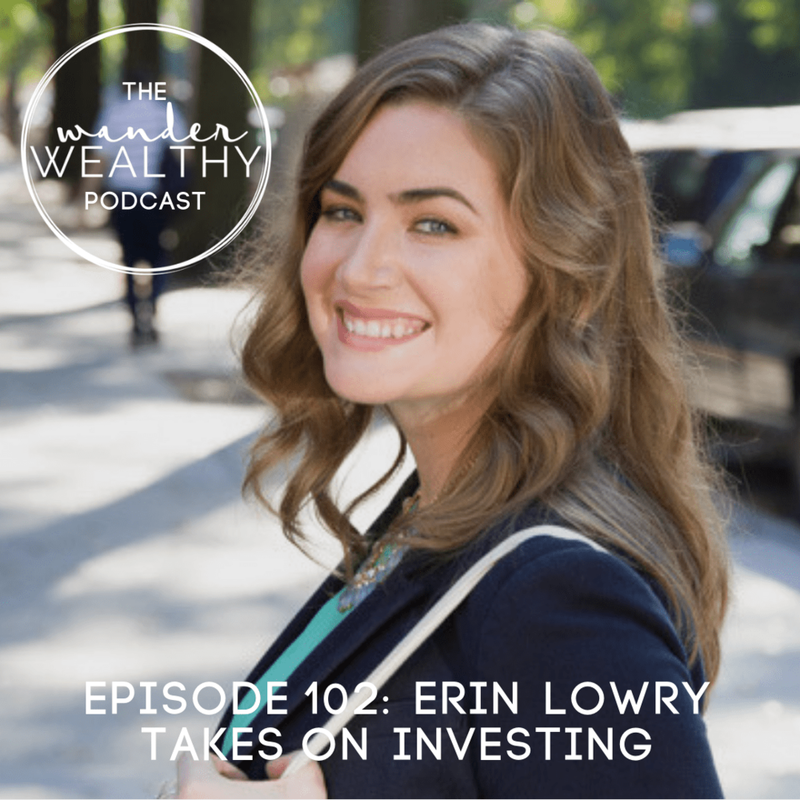 Erin Lowry is the author of Broke Millennial and Broke Millennial Takes On Investing. Her first book was named by MarketWatch as one of the best money books of 2017 and her style is often described as refreshing and conversational In this episode, we talk about what’s changed since we last talked back in 2016 (episode 15!). Erin shares how she’s taking on her husband’s student loans and how money management in relationships is a personal choice for every partnership. Then we gab all about investing, what she learned in writing her book and why investing can feel intimidating but doesn’t need to be. BONUS: Send your proof of purchase to info@brokemillennial.com with “Wander Wealthy” in the subject line to get Erin’s 30-Day Rookie Investor Action Plan. DOUBLE-BONUS: Forward or CC me (tesslwicks@gmail.com) in the above email to "get the book for free” if you purchase The Invested Program (a.k.a. I’ll send you a link with a discount worth the price of the book!) - Double-Bonus is only available through April 30th, 2019. Follow Farnoosh Torabi on Instagram.